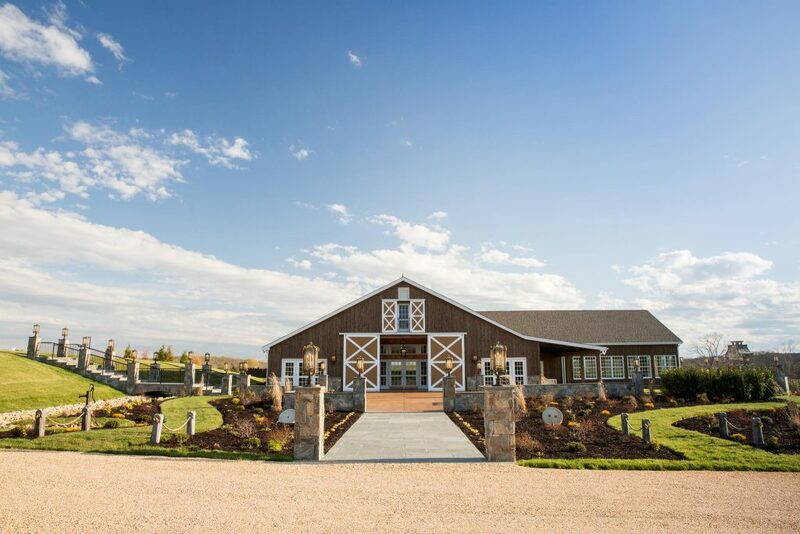 Our most recent addition, The Lodge at Mount Ida Farm & Vineyard, was originally constructed as a horse stable in the early 1900’s and served for the last several decades as a cattle barn . We were able to preserve the original oak timber framing offering a dramatic expanse with nearly thirty foot high vaulted ceilings. The structure was restored and expanded to 12,000 square feet with a view to providing the finest and most flexible event space. The 60 foot by 130 foot vintage event space is adorned with rough cut oak panelling, a stone fireplace, crystal chandeliers and polished concrete floors. Sliding 20 foot wide cedar barn doors open to an adjoining 50 foot by 40 foot banquet space supported by two massive fifty foot long wooden beams and graced with impressive windows to capture both the mountain views as well as the evenings celestial bodies. Double oversized glass doors open to an expansive epe wood deck complete with a gigantic outdoor see through fireplace complete with two antique water fountains flowing into backlit pools. The breathtaking bridal suite with antiques gathered from Caravatis in Richmond and furniture from Restoration Hardware offers a true French Provincial feel. Blessed with dramatic 360 degree views, the outdoor setting for the Lodge is enhanced with spectacular stone walls, bluestone walkways, gurgling creeks and beautiful landscaping replete with enormous outdoor gathering spaces. The grove ceremony site offers the most spectacular mountain views giving life to the term The Jefferson Sea. An enormous cedar pergola to shelter the bridal party coupled with stone walls and rambling paths through the 100 year old grove offer guests a sense of paradise only enhanced by the nightly aurora generated by the beautifully backlit grove. Built with a purpose The Lodge is a vendor’s dream HVAC throughout, a state of the art kitchen, back up generator, easily accessible loading and unloading spaces for rentals, ample power and 9 bathrooms.